What is it refrigerated air conditioning? Refrigerated Air Conditioning systems also known as reverse cycle air conditioning give you complete control over your living environment, whether you opt for a reverse cycle ducted system or a gas ducted heater with add on cooling. You can rest assured that a correctly sized and installed system will maintain your desired living condition at the harshest of times. These systems provide cooling, de-humidification and heating while filtering the air. This creates the perfect indoor climate all year round. You can be warm and snug in winter and delightfully cool in summer. ducting and delivered to your rooms. 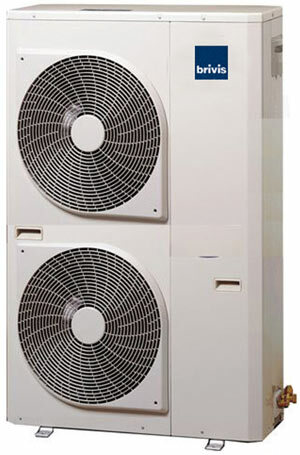 Refrigerated Air Conditioning systems can be used to heat or cool your entire house all year round. It is possible to zone your home for example, into separate day and night areas. This would allow you to air condition the living areas during the day and the sleeping areas at night. This is also a good way to cut down the running costs of the system. At Tonna Heating and Cooling we can help you choose a system to best suit your needs. It is crucial that the correct sized system is selected for your home, for instance you can buy a smaller system, thinking it will be cheaper to purchase and run. But an undersized system will mean that the equipment is overworked which will cost you more to run, then a correctly sized system. Plus you will not be capable of achieving your desired comfort levels. It is just as important not to oversize the system, as an over-sized system will lead to intermittent operation, poor humidity control and high demand for electricity.